The Encounter – one day at a time. Eating a really delicious food for the very first time is just one of the—well my best experiences to share with other people as well. We usually invite our friends to eat our all-time favorite food because we also want them to experience the sweetness and the tastiness of that meal. And most of the time, we couldn’t help but to order and eat it all over and over again without getting sick of it. And little did we know it becomes our favorite food. No wonder why people love to take pictures of their food and post them in Instagram (I am part of them) because they want people to see and taste them in the next days. In short, they want to encounter the delicacy they have encountered when they first tasted it. We all have different encounters, it may be bad or good, but it still is defined as an encounter. It could be an encounter a storm in your life; heartbreak from a lover; tripping to the beach with friends; getting a free shopping in Forever 21; and so much more. But do you know that experiencing God’s presence is literally the best thing in the world? Back in 2012, I saw how supreme and majestic God is in my life. I saw how bad I was and saw how great and good God is. I knew Him even when I was younger. My dad was even a pastor (he still is now), and the whole family served in church but I didn’t have this personal and intimate relationship with this God who made me, the universe, the planets, the atoms, the molecules; in short, the God who made everything—the Creator. I was on my own. I was a “Christian.” I memorized Bible verses; I attended Sunday Schools in church; Christian families surrounded me; I studied in a Christian school; but I didn’t know the God whom my family was serving, I didn’t even know the feeling of being on fire and being so passionate about His Word. I didn’t know how it felt to be filled with His love and grace every day. I didn’t have that relationship with the God who died for my sins. My life was off track. I was lost. But here He comes in my life transforming me, my character, and my attitude—everything. He was removing and breaking every chain that is not supposed to be in my life. He removed pride, hostility, impurity, displeasure and godlessness. And He replaced it with humility, kindness, integrity, contentment, and righteousness. He still is transforming me and I am still on the progress yet I am very grateful that I met Someone who changed my life. LITERALLY. 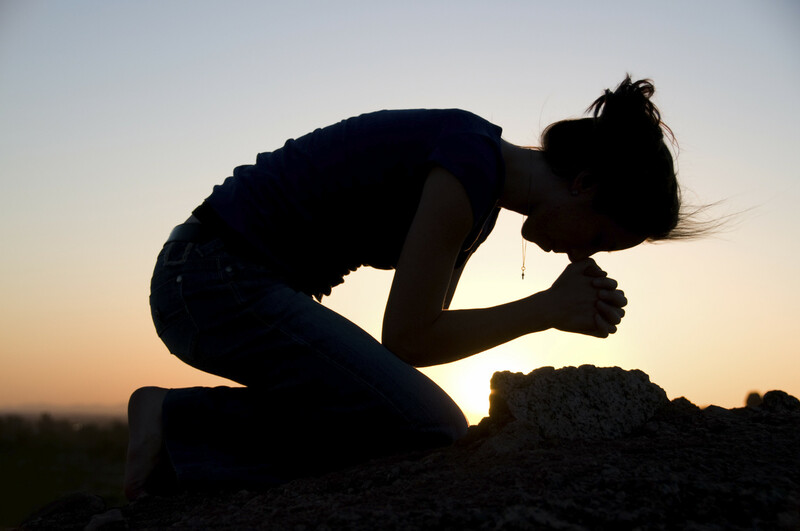 I was actually struggling about surrendering my life to God that day but when the Holy Spirit’s power forced me to bow down before God, I caught myself falling down on my knees. My body was shaking; my hands were trembling. God showed and reminded me the miracles He did to me during those days I was lost. I failed to see every blessing He has given to me; I was totally oblivious that everything were happening to me back then. But do you know what’s more amazing? He never condemned me; He never gave up on me. He continued knocking at the door of my heart waiting for me. He was waiting for me to open that door and let Him enter and finally rule and reign over my whole life. I didn’t know what to do but I knew that God is the only person who can fill the emptiness and hole in my heart; I knew that He is the only person who can complete me. All the verses I memorized, He reminded me. He spoke to me as if He was just right beside me. I felt like garbage that I thought no one would ever pick me up from the lowest point of my life. But I was wrong. God picked me up. He cleansed me; He renewed me; He made me whole and full. That is why I surrendered and gave my life, my heart and my soul to Him. And now I could really say that experiencing His presence and power is the best encounter in the whole wide world. And because He changed me and placed His love in my heart, why would I be selfish? Why would YOU be selfish to share to your loved ones about your personal encounter with Christ? Encountering Him is very life changing. Why not share it with people your encounter? Talking to God with complete confidence is one of the things we should be grateful for; worshiping and serving Him with so much freedom is the most fulfilling thing we could do in our existence. Truly, when we experience God, everything changes—even your life. LET US SHARE THE LOVE THAT CHRIST HAS FOR US. Let the world encounter the Love that transforms everything.